Every student who collects and submits at least 10 Box Tops will have a chance to have their name entered into a Box Tops drawing for a special prize. 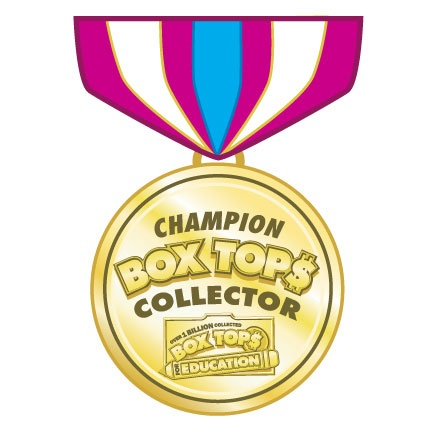 Drop off your Box Tops in the school library collection bins or in the purple mail box marked “Box Tops for Education”. ​To receive credit, you must list your name, grade, and house information on envelope or Ziploc bag. These students were the winners of our Fall Box Top drawings. They each will receive a $10 gift card to use at any AMC movie theatre. Thanks to everyone’s efforts, we collected over 3,000 Box Tops this Fall! H-E-B has a program that we're excited to tell you about. It’s called Cash for Your Education, and it’s another great way to earn cash for our school through H-E-B and Box Tops for Education. They’re offering eBoxTops™, which are sent to our school electronically. When you register on their website, you’ll earn 10 eBoxTops for MMS. Then when you refer a friend/teacher/family member, they too will earn 10 eBoxTops. 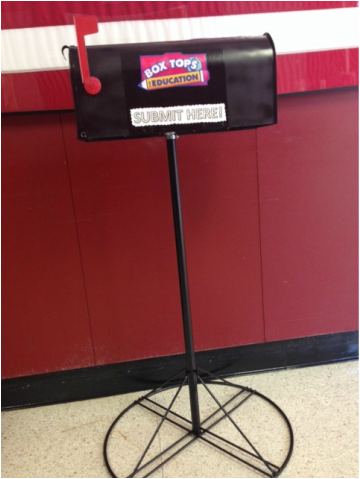 Your referral will also get you an additional 5 eBoxTops ($.50 value) for our school. It’s a win-win situation! Once a registered user, you’ll have access to special promotions throughout the year to earn even more cash for our school. You will also learn of specials that will be going on at your neighborhood H-E-B. And ultimately, our school will be the winner when we earn cash from the Box Tops for Education program for much needed school supplies, equipment, books, etc. Help MMS earn FREE money and sign up today. Click here to register and start earning. Hope you sign up today! Thank you so much for supporting the Box Tops for Education program at MMS! 1. Clip Box Tops and make sure the date is visible and not expired. 2. Bundle your Box Tops in bunches of 10 or 50. 3. Put them in a Ziploc bag or on a collection sheet. 4. Label with your name, house, grade, mentor, & number of Box Tops. 5. Turn in your collection sheet or Ziploc bags.